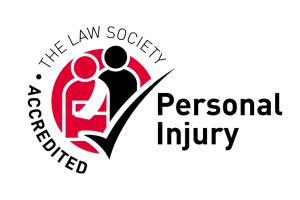 OUR PERSONAL INJURY SERVICES HAVE BEEN RECOGNISED AND ACCREDITED BY THE LAW SOCIETY. THIS ACCREDITATION IS EVIDENCE OF OUR EXPERIENCE AND KNOWLEDGE IN DEALING WITH ALL ASPECTS OF PERSONAL INJURY. Approximately 3 million people are involved in accidents each year, yet it is estimated that only 14% pursue compensation claims. If you have been a victim to any of the above injuries, you will be entitled to compensation which could improve your life following the accident. Our Personal Injury services have been accredited by the Law Society and also APIL which is evidence of our expertise in this area. Furthermore, we are long time members of the MASS Society, which is responsible for ensuring that fairness and justice is achieved for all victims. If you would like to contact us further about any of the injuries mentioned above, please do not hesitate to get in touch with us by telephone or simply fill in the online enquiry form.